Jackson State University is apparently getting serious about building a domed stadium. The university has launched http://www.jsums.edu/dome/">http://www.jsums.edu/dome/, a site that includes a rendering and includes details on planning that were previously undisclosed. The cost of the 50,000-seat domed stadium is still listed at $200 million, and the site says the JSU administration has identified over $300 million in funding possibilities. "The stadium is designed for football, basketball, concerts and special events," the site says. "Seating is 50,000 for football, 17,000 for basketball and 21,000 for concerts. It will include 75 sky boxes for rental. JSU's Sports Hall of Fame will be housed on the first floor. The design includes 4,500 parking spaces. Another 2,000 are located in garages downtown where shuttle buses can help on big game days." The site says JSU currently owns 30 percent of the land on the preferred site. I can understand JSU's need for a stadium on their own campus vs using Veterans Memorial, but I still think this is a massive project considering their attendance numbers. I have yet to see anything that justifies such a venue. The problem I see with large special events is location. Most large facilities like this have easy interstate access to ease the traffic flow, but can you imagine how congested it would be leaving JSU? I see the potential in a project like this, not only for JSU, but for the Jackson Metro area. Unfortunately, I do not think the support will be there politically to pull this off. JSU needs to find some political leverage, which I think they have in Memorial Stadium. No one wants Memorial Stadium to be there anymore. But It has to remain as long as JSU has no other football venue to use. So, if the JSU leadership is smart, they will leverage their lease for Memorial Stadium for more funding and political support for the Dome. The only way this gets done is to get more support from the public side. Leveraging the Memorial Stadium is the only way to get that. Unless a donor comes forward to donate $100 million to $150 million dollars, THIS particular stadium won't be built. 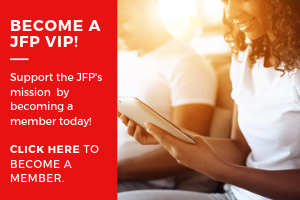 This conversation on the JFP website has been going on since the initial announcement in the Spring of this year. The only thing that has changed is the headline for the article. No REAL money, No REAL plans and based on the information from the article, no REALISTIC way for this to actually happen. I'm disappointed in my fellow JSU alumni who lend credence to this fraud of a plan and proposal. What you WANT and what is realistic are two totally different things. There are obviously no real business people associated with the proposal or the planning. Seemingly just some yes people. None of the people associated with this project come from schools that have successfully completed a project of this magnitude or anywhere close (current President included). The architects don't count because they will draw you whatever you want (and get paid for it) and know that It will never be built. I say all this to say that my school, our school deserves better than this inept plan and yes people who love the sound of it and how it makes them feel. This page has been up for a while now so it’s not that new. We’ll see how January 2014 goes. I think that’s what JSU is waiting on; if there will be legislative support. From there we’ll see what JSU has in-store to make this happen or if there is an audible. No point in getting riled up at this point on the obvious. @js1976… good point. One of the stadium’s goal is to bring big name entertainment to Jackson/Mississippi. Quick access to and from the highways is important. Even with Memorial game days, traffic is already bad with the nearby highway. There are 4 proposed locations, however, the location right off of main campus is preferred. This preferred location will encourage better roads to provide smoother traffic flow; University Blvd(Terry Rd) to I-20 and W. Pearl/W. Pascagoula St. to I-55. @blackwatch… Memorial is blocking the extension plans for of the Medical Center. Once JSU moves out, MC is coming in and tearing down. If I remember the legalities correctly from years ago, Memorial will just be shifted to MC than sold. JSU was promised funding to build their own stadium from the State of Mississippi, Fact number one!!! JSU requesting 75 million, Fact number 2. Not 200 million but 75 million. What JSU does with a 50,000 seat stadium is our prerogative. Our administration is looking at growth and we have a history of winning and being ranked in the top 5 in attendance in the FCS. Forget what you heard, give us what was promised to us and stop playing favorites, we will secure the rest open and shut case. The state of Mississippi has paid for the initial stadiums for every college public college in Mississippi so why they dragging their feet with JSU. This will be a major economic development for Jackson and the state but some people can't fathom JSU with a Dome stadium, I guess they want us to stay in our place. Interest Convergence people look up the term. If the state can issue bonds for ole miss and miss state to do construction on the basketball stadiums and football stadiums then give it up Mississippi. notlikeu, there IS a point in getting riled up because the proposal is ridiculous. Case in point: on yesterday the STATE's bond rating was placed on a 'negative' outlook which is partly due to the current bonded debt of the state. (Meaning they are close to having too much). This is significant because any funds that the legislature would provide JSU would be through the issuance of additional BONDED DEBT. That alone will ensure that JSU won't be receiving any significant amount of funding from the Mississippi Legislature. Further, the Ag Commissioner is seeking funding from the legislature to make improvements and upgrades to the Mississippi Coliseum on the fairgrounds. I would submit to you and anyone else that her request would be funded, at least in part, before JSU's request. Nothing will change in January 2014. JSU still won't have a credible plan and the legislature won't credibly consider it. Thank you for providing this. However, it’s not JSU’s fault of how the state had conducted their funding endeavors in the past. We will see how the legislature will handle proceedings with the university. Until it’s stated, it’s not ensure. Yes, Cindy Hyde-Smith is seeking $40m to overhaul Mississippi Coliseum to make Jackson more appealing to big names in entertainment and events. She is working very hard to support MC though. She has recently welcomed Hobnob to be hosted at MC. That’s public information that could be found. Thank you. As you are also well aware of, the city has been researching the past few years on a new downtown arena near the convention center; 9,000-seat costing the city $115m. The dome became more of a benefit because it was a better package and less cost to the city directly. All of this became public within a few months of each other. Also, thank you for your prediction for January 2014 results. Not everything is done in public. Knowledge do you have knowledge of JSU plan, I dont think so. NewJackson- "The state of Mississippi has paid for the initial stadiums for every college public college in Mississippi so why they dragging their feet with JSU." No they weren't. Don't know about the other colleges but Ole Miss's Vaught Hemingway stadium was and I pretty sure State's Davis Wade Stadium was too initially built with Federal grants not State money and most, if not all expansions have been funding by alumni and donors. Southern Miss's original "Faulkner Field" was funded by local business man, L.E. Faulkner and built for free by unemployed workers during the Depression. I don't think the state has spent any money on the 3 major colleges stadiums. Bubbat do you have a problem with the state giving a state funded school(JSU) 75 million for a stadium. Yes or no?? Yes, if they aren't going to give every major college in Mississippi 75million for their stadiums I see no reason to give 75 million of JSU for one. bubbat, you are exactly right. The STATE has not spent money on the 3 major college stadiums and if it was done you're talking about the early 1920's or 30's. It actually doesn't take much to find that out (New Jackson). Further (New Jackson), being in the top 5 in FCS football attendance is not a sales pitch to win $75 million dollars from the Mississippi Legislature considering JSU has never averaged anywhere near 50,000 in attendance. The most recent highest average is from 2011 when it was a little over 23,000 (NCAA Figures) Here's a novel idea though: Raise $125 million ACTUAL DOLLARS and then go to the legislature for the $75 million. That's leverage. Lastly (New Jackson & NotlikeU), everything may not be done in public but CREDIBLE plans generally have positive feedback from those that will be making the decisions. And that hasn't happened. As far as promises are concerned, i'm still waiting on my 40 acres. They can keep the mule! Why acquire something that you cannot grow into? Build a dome that you will outgrow within a few years (if continuing in latest focus and direction)? Domes are quite complex to expand, look at North Dakota State Univ. who are currently stuck with 19k dome. Yes, it stays sold-out. I'm assuming JSU is not trying satisfy the current numbers, but the future numbers. Even the historic numbers (like the 90s) are much greater. Yes, FCS numbers are not too appealing in FBS(SEC) country. Yes, 30k-40k seat seems reasonable if this was a football/JSU only facility, but it's not. Plus, as stated, it will make more financial since overall with larger; comparing 35k vs. 50k costs. JSU could show and activate these other funding generators, that would be great for their proposal. Adding a student fee would be a simple start (with vote). Hosting events/opportunities with area business and government leaders (which seems to already be going on). Hopefully when you receive a letter from JSU requesting for financial support for the stadium (since you're an alumnus), you will not hesitate to give willingly and ask "what more do you need". NotLikeU, I understand all that you're saying but is it realistic considering the costs involved? Why are we trying to build a multipurpose facility when all we need is a football facility. The State of MS is not going to advance funds to compete with the Mississippi Coliseum. You don't seem to understand where you are and who holds the purse strings. By the way, why wasn't a feasibility study done to show costs to upgrade and improve the current facility (memorial stadium)(take out seats, add skyboxes, club seats, etc) and show that study along side the 'dome' plans. Please don't mention what UMC wants because JSU owns the facility right now and controls what happens with it in the future. Saying that it would cost too much to upgrade is one thing but those numbers should have been crunched also. And if they have those numbers why haven't they been made public? For the record, I have no problem providing financial support to a CREDIBLE plan. But I, nor any other Alum that I know of, will provide financial support to a proposed Plan that only provides possibilities and no definite way to achieve them. I have a question: The State of MS Dept of Finance & Administration had an 'Operations and Management Review' done for Mississippi Veterans Memorial Stadium in 2007 to determine structural integrity of the facility, ability to upgrade and some other things. Has anyone ever seen this report or what was included in it?